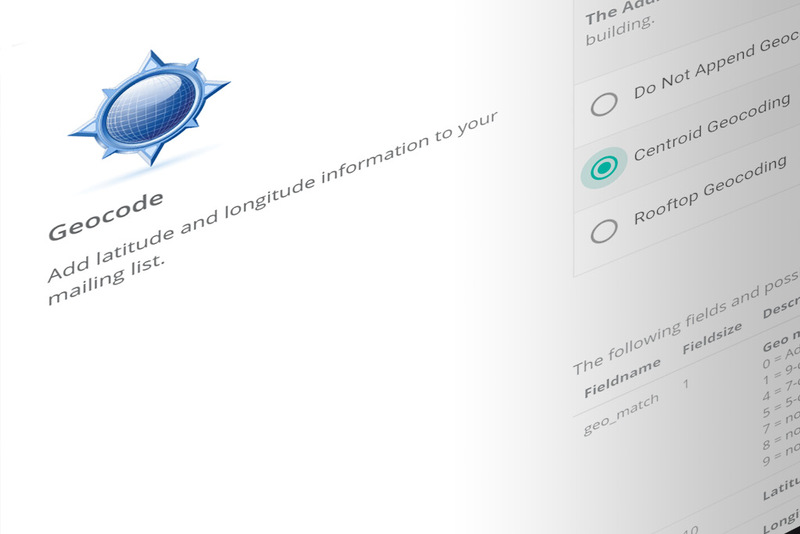 Instantly append location data to your database records and customer lists. Personalize your marketing materials to include useful location information to the recipient by utilizing any combination of latitude, longitude, census tract, census block, Metropolitan Statistical Area (MSA), Core Based Statistical Area (CBSA), and match level data. Speed-to-market and information accuracy are critical to your marketing campaign’s success. The UpdateYourList.com DIY Portal allows you to instantly add location data to your customer and prospect files in real-time. Location data allows you to target your marketing to customers by providing the store address and phone number that is closest their location. Core Based Statistical Area (CBSA) - CBSAs are either metropolitan (population of at least 50,000) or micropolitan (population between 10,000 and 50,000). With CBSAs, you can collect statistics for less urban areas of the country. CBSAs cover approximately 90 percent of the entire U.S. population. Metropolitan Statistical Area (MSA) - The Metropolitan Statistical Area within which a given address falls.